Days after the National Energy Board changed the rules on how pipeline projects are assessed--requiring companies to account for all upstream and downstream carbon emissions--TransCanada has asked that its application for Energy East be suspended for 30 days, while it decides whether to proceed with the project. Energy East is a proposed $15.7-billion pipeline project that would connect Alberta oil production, and Bakken production added to the line through a terminal at the Moosomin compressor station, with refineries in Quebec and New Brunswick. The plan for Energy East included a massive tank farm at the Moosomin compressor station, and a feeder pipeline from Cromer to Moosomin. TransCanada announced Thursday it is seeking a 30-day suspension of its application for Energy East while it reviews how the National Energy Board’s decision to consider the project’s contribution to upstream and downstream greenhouse gas emissions will impact costs. 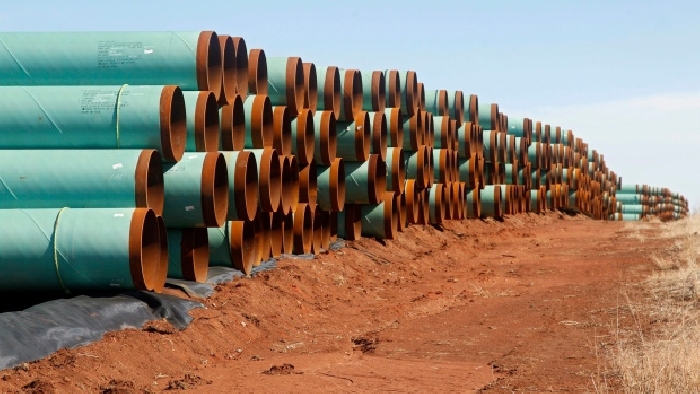 TransCanada said the changes to the regulator process were “significant”, and also warned that the entire project and related Eastern Mainline Project could be cancelled. “Should TransCanada decide not to proceed with the projects after a thorough review of the NEB’s amendments, the carrying value of its investment in the projects as well as its ability to recover development costs incurred to date would be negatively impacted,” TransCanada said. “Apart from Energy East, we will continue to advance our $24 billion near-term capital program in addition to our longer-term opportunities,” TransCanada CEO Russ Girling said. TransCanada had already re-submitted its massive, 30,000-page application for the project after the NEB deemed the application too difficult to read and understand in Feb. 2016. The company also cancelled parts of the project, like a marine terminal in Cacouna, Que., over environmental concerns.